Ah it's that time of year again. 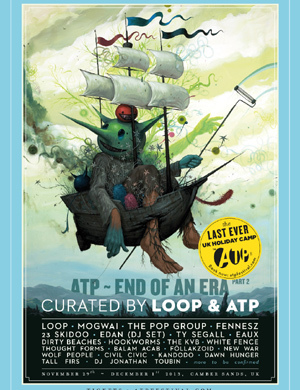 The arrival of the end of the calendar year, and with it a driving desire to categorise the happenings of the past twelve months into convenient list form. As with the past few Decembers, I begin my annual review convinced that the past year has been a distinctly average one for music. But as the list grows, and albums that struck a chord nine months ago resurface, I discover that 2015 has been another good musical year. In fact, save for some sort of global catastrophe or ignorance on the part of the listener, I can't foresee music having a 'bad year'. Anyway, here are this year's picks. 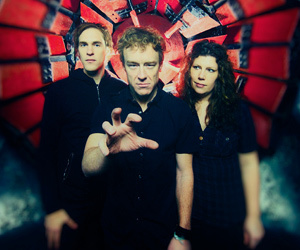 Given the 20 years they've spent making music together, it may be fair to expect husband and wife duo Alan Sparhawk and Mimi Parker to slip into a sort of musical comfort zone. But, with their voices combining and contrasting amid dissonant instrumentation, Ones and Sixes is one of their most intense and thrilling records to date. There are very few certainties in life, never mind music, but one is that buying a ticket to see Duluth's finest Low will never lead to disappointment. Twenty-plus years of touring the world and writing some of the most affecting pop music (whichever prefix or suffix you would care to add) you could care to hear, whilst straying from the pitfalls that a long stretch in the business often brings (complacency, fame, desperation), makes sure of that. Should you wish to split the atom in regards to genres and sub-genres, then the Minnesota trio have spent a good part of the last ten years trying to sidestep away from the 'slowcore' tag that they can never seem to truly shift, with the rockier tones of 'The Great Destroyer', the experimental 'Drums & Guns' and the alt-country tinged 'The Invisible Way', and so it is perhaps in fitting with their atypical nature that they open with 'Words'; a staple of the genre and the first track from their none-more-sparse debut 'I Could Live In Hope'. Here, it is stripped of the reverb that bathes it on record but it is just as affecting, and a definite crowd pleaser. Not that Low have to stretch so far into their back catalogue to please the night's crowd, who are somewhat split between fanatical and reverential. There are roughly 100 tracks that the three-piece could choose from without scrapping the barrel of album filler, and the night's set is the perfect mix of old and new. They are backed on the tour by a projectionist that streams (in keeping with the band) visuals that don't cry out for your attention, but refuse to relent when you gaze upon them. 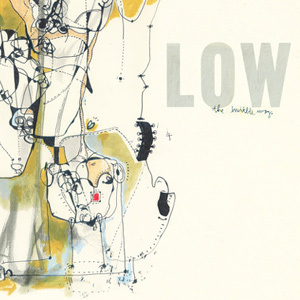 Low have managed to weave a set that incorporates the crunching guitar tones and Crazy Horse solos on tracks such as 'On My Own' with bleaker, minimalist odes like 'Over The Ocean', something which was a slight struggle for the band in the early stages of their transmogrification. 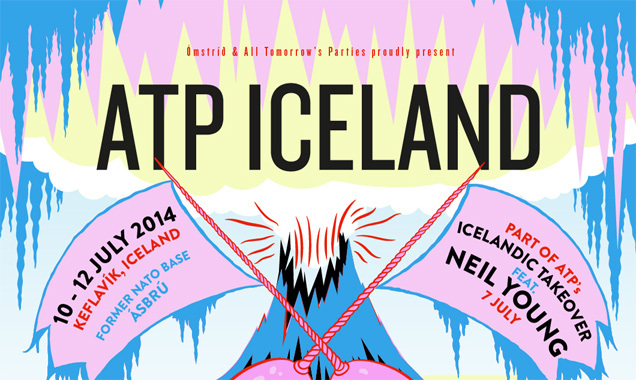 Plus Katy Perry gyrates on 70 year-old man and Asaf Avidan's new all swinging and all shaking video! A Week in Videos… Gary Oldman AND David Bowie in one video? It’s happened, with the Thin White Duke revealing his controversial new video for his comeback album’s title-track, The Next Day. There’s plenty of blasphemous imagery going about, with Marion Cotillard's character receiving the stigmata on her hands and Bowie himself looking like Jesus Christ, as various decrepit clergy men enjoy a sleazy bar with all the ill-reputed sorts that usually occupy such a place. See what you think. Vampire Weekend’s new album’s pretty great and this single off it is pretty great too. This is just the lyric video so not too much happens visually however, it gives you a chance to hear one of the lead tracks from their album Modern Vampires In The City. With the anticipation surrounding that album's release, and the generally decent feedback given to the album so far, it is expected that the band will perform particularly well on the album charts. 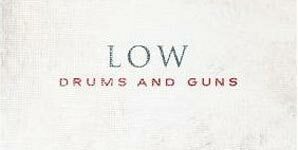 Although past their pioneering role in the emergence of slowcore in the nineties, Low are still quietly churning out delicate, melodic pieces. With their tenth studio album 'The Invisible Way', they have combined with fellow mid-westerner Jeff Tweedy with the Wilco front man on producing duties. Over the last decade, whilst staying true to a stripped-back, subtle approach, Low have evolved from their dark, mid-nineties rawness. 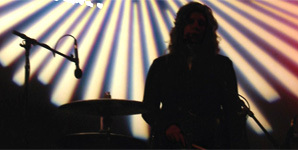 'The Invisible Way' sees drummer Mimi Parker take a more established role in the vocal department; on previous releases the harmonies have been largely led by guitarist Alan Sparhawk. The album touches on issues of loss, reminiscence and illness. Opener 'Plastic Cup' introduces a gentle guitar line alongside the simplistic thud of a bass drum before Parker's vocals spiral around the growing mix of strings and piano chords. The lyrics of 'some holy ghost keeps me hanging on' are delivered with unassuming passion on fourth track 'Holy Ghost'. It becomes clear that, although there won't be any particular moments that will grab your attention, it is near impossible to find any fault with this album. The BPM of Low's once glacier-paced slowcore may have sped up in the 17 years since their debút 'I Could Live In Hope' but the speed of their output has slowed with time; 'C'Mon' is the Duluth, USA three-pieces' first album since 2007's 'Drums & Guns' (albeit with two albums from Retribution Gospel Choir, side project of vocalist Alan Sparhawk's, to bridge the gap). Many believed 'Drums & Guns' was the bands weakest album to date, and one that substituted the bands naked beauty for studio trickery, and whilst 'C'mon' is an improvement on its predecessor,and a very strong album in its own right, it falls quite a long way short of the bands high points.